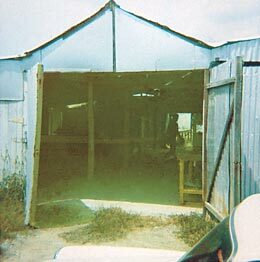 In 1970 PAAL set up in a disused dairy shed in Penrith to provide customers who wanted to build their own homes with the best possible building package. The original technology for this undertaking was based on a modular building system from Europe and despite the somewhat unconventional method of building, the houses quickly became popular because of their easy assembly. The start was made with garage frames and then progressing onto house frames. Soon people wanted roofing, windows and cladding. This was really the start of Paal's kit home business. In those days, steel framing was relatively new­ but the white ants were good salesmen. And people soon appreciated the simplicity of a bolt together frame structure. Today, 49 years later, Paal is still under the same ownership, but now operates from state-of-the-art production and display facilities in Russell Street, Emu Plains at the foothills of the Blue Mountains. Over the years, Paal Kit Homes has produced over 5,000 buildings, the majority of which have been delivered throughout New South Wales, Victoria and Queensland. To remain competitive, the company has constantly adapted to changes and shifting trends. In particular, Paal have to provide a complete kit down to the power points and light fittings. People certainly don't want to discover something is missing once they are on the job. The most rewarding aspect of the Paal business is being able to send a kit home to anywhere, knowing the customer will be able to build their home to completion, simply by following the instructions.